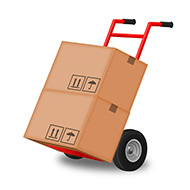 De Koning Self-Storage offers a way of keeping things that you don’t want to throw away but don’t have room to store. In particular, it’s aimed at bulkier stuff, such as furniture, sports equipment, archives, business related stocks or large quantities of boxes. People moving house, or those who are going to work abroad and want somewhere to lodge their furniture, use storage as a temporary measure. Or if you have furniture left by a relative and don’t have anywhere to put it in the short-term, De Koning Self-Storage offers flexible accommodation for long and short terms. It’s also a stop-gap if couples are splitting up and need somewhere to put their possessions. De Koning Self-Storage has the alternative for everyone with more stuff than space.